Regardless if you are thin or not, women with PCOS have a higher rate of cardiovascular risk factors. These risks include elevated triglyceride (TG) levels (the blood storage form of fat), blood pressure, C-reactive protein (marker of inflammation and oxidative stress), total cholesterol and LDL cholesterol (the so-called "bad" type of cholesterol), and low levels of HDL (the "good" type of cholesterol that we should have high levels of). Studies show that as many as 70% of all women with PCOS have elevated levels of LDL cholesterol and low levels of HDL (1,2) both of which are strong predictors of cardiovascular disease. Whether you have abnormal cholesterol levels or not, now is the time to take measures to improve your heart and your health. The following are some of the best ways to help your heart. 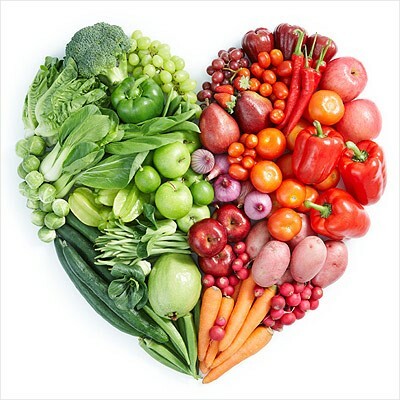 A plant-based diet is one that is rich in fruits, vegetables, whole grains, legumes, and nuts but is limited in animal products, many of which contain saturated fats and cholesterol that are known to clog arteries (butter, margarine, cream, red meat, mayonnaise). In addition, plant-based foods contain important vitamins, minerals, and fiber needed to reduce blood lipid levels, blood pressure, and insulin. They are low in calories and take longer to chew thus adding to fullness with meals. To bring more of a plant-based diet into your life start slow. For example, make 2 meals a week without using meat or other animal products. Remember, you don't have to eliminate meat altogether, just make it so it is less of an important staple in your everyday way of eating. Omega-3 fatty acids have long been known to bring down cholesterol and triglyceride levels.Foods that include omega-3 fatty acids include walnuts, egg yolk, flaxseed, canola oil, fish (especially salmon and tuna). While some of these foods do contain relatively more calories and fat per serving than some other foods, omega-3's are a crucial part of the diet for PCOS and heart health. Eat these foods more throughout the week and you can expect to see your blood lipid levels fall toward lower and healthier levels within a few short months. Phytosterols (also called sterols and stanols) are cholesterol-lowering plant chemicals that can help women with PCOS. They are so structurally similar to cholesterol that they compete for absorption in the intestine. The cholesterol that does not get absorbed is eliminated from the body. A 2006 meta-analysis and systematic review in the Journal of the American College of Nutrition found that phytosterols a lowered total cholesterol 7% to11% (3). Phytosterols have no taste or odor and many food manufactures are fortifying foods with them for their cholesterol-lowering effects. Some foods that are currently available that contain phytosterols include granola bars, bread, lowfat milk (available at Kroger stores nationwide), yogurts, soft margarine or butters, and multi-vitamins. If you do have high cholesterol (or a strong family history of it), consider substituting your current food selection with foods fortified with phyotsterols. Approximately two to four servings will meet the recommended amount of 2 grams of phytosterols per day. Replacing refined carbohydrates with whole grain ones not only benefits women with PCOS by aiding in lowering insulin levels but helps to improve cholesterol levels as well. This is because lower-glycemic index foods like whole grains are rich in fiber which grabs cholesterol in the body and carries it out so it's less likely to be absorbed. Fiber-rich foods are also more filling. Government guidelines recommend women consume 25-35 grams of fiber each day. This can easily be met by a diet that includes a variety of fruits,vegetables, legumes, and whole grains. Being physically inactive is a risk factor for cardiovascular disease. 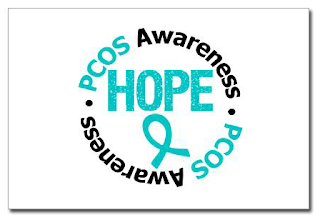 It also contributes to insulin resistance seen with PCOS. Try to make an effort to be more physically active. This does not mean having to join a gym or other structured activity. Simply adding more activity into your daily life is a great way to start. For example, parking your car further away at stores, getting off the bus or subway a few stops earlier, dancing more at home or out, walking down the hallway to talk to a co-worker instead of emailing them are all forms of physical activity. Try using a pedometer during the day with a goal of getting 10,000 steps in daily. If you currently engage in an exercise regiment, consider making it more challenging by adding more resistance, time, heavier weights, or trying new activities. Not only will you see improvements to your cholesterol levels, but blood pressure, insulin, and perhaps even mood and body image! For more information on ways women with PCOS can improve their heart including recipes and tips for eating out visit the American Heart Association's website at www.americanheart.org. 1. Legro RS et al. 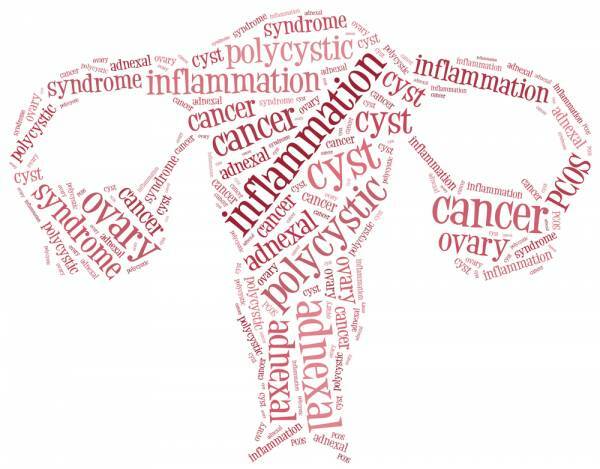 Prevalence and predictors of dyslipidemia in women with polycystic ovary syndrome. American Journal of Medicine. 2001;111:607-613. 2. Apridonidze T et al. 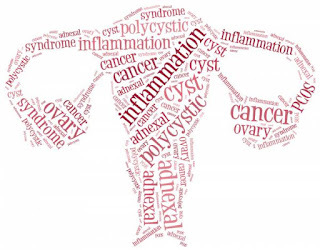 Prevalence and characteristics of the metabolic syndrome in women with polycystic ovary syndrome. Journal of Clinical Endocrinology and Metabolism. 2005;90:1929- 1935. 3. Moruisi KG, Oosthuizen W, Opperman AM. Phytosterols/stanols lower cholesterol concentrations in familial hypercholesterolemic subjects: a systematic review with meta-analysis.J Am Coll Nutr. 2006 Feb;25(1):41-8. I enjoyed over read your blog post. Your blog have nice information. These are very valuable information.